The Upper Cervical Blog: Upper Cervical and Stroke? For decades, in the UK, Canada, Australia, New Zealand and the United Stares, reports have appeared in the popular media suggesting that chiropractic "manipulation" of the cervical spine causes strokes. Such stories are also being seen in other countries. Some writers have suggested that such procedures be banned, or that patients be informed of the possibility that a stroke may follow an adjustment. These allegations require a swift and vigorous response. This report will review several decades of relevant literature to address this issue. It is important to note that these are "Point: Counterpoint" style editorials, not scientific studies. They represent the opinions of the authors. Journalists sometimes assume that because a paper is published in a peer-reviewed journal, it must represent rigorous research. They often do not differentiate rigorous research from editorials expressing opinions. Yet there is a fundamental problem in considering the alleged relationship of "neck manipulation" to stroke. That problem is establishing a causal relationship between the two. a heart attack within months of reading a newspaper, that reading newspapers causes heart attacks. I’m sure one could compile case reports of people who thought they experienced bad luck after a black cat crossed their path. One could even compile purportedly "objective" evidence of people who had undisputed medical evidence of heart attacks within weeks or months of reading a newspaper. Most people would conclude that claiming causality based upon such thinking would be absurd. However, they fall for such flawed logic when examining the relationship between "neck manipulation" and stroke. Consider the application of this logical fallacy to the issue of chiropractic adjustments and strokes. In a survey, neurologists were asked the number of patients evaluated over the preceding two years who suffered a neurologic complication within 24 hours of receiving a "chiropractic manipulation." Fifty-five strokes were reported. The author stated, "Patients, physicians, and chiropractors should be aware of the risk of neurologic complications associated with chiropractic manipulation." (6) The fact that a temporal relationship exists between two events does not mean that one caused the other. As Keating (7) explained, "To mistake temporal contiguity of two phenomena for causation is a classic fallacy of reasoning known as 'post hoc, ergo propter hoc,' from the Latin meaning 'after this, therefore caused by this.’"
What's wrong with this thinking? Let's change "neurologic complications" to "automobile accidents." Would it be reasonable to suggest that if 55 patients over the last two years had car accidents within 24 hours of seeing a chiropractor that the D.C. caused the accidents? Want to see how absurd this can get? Change "neurologic complications" to ice cream consumption. Or sleep. Is there anything that would either strengthen or weaken a case of alleged causality? Yes. We can compare the number of times the event in question (in this case, stroke) occurs as a random event to the number of times the event occurs following the putative cause (in this case, a "chiropractic manipulation"). Sixteen years ago, in a letter to the editor of JMPT, Myler (8) posed an interesting question: "I was curious how the risk of fatal stroke after cervical manipulation, placed at 0.00025% compared with the risk of (fatal) stroke in the general population of the United States." 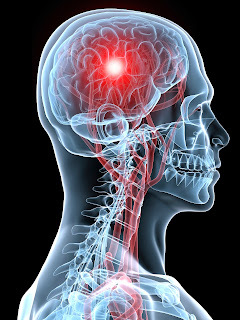 According to data obtained from the National Center for Health Statistics, the mortality rate from stroke was calculated to be 0.00057% If Myler's data is accurate, some have suggested the risk of death from stroke after cervical manipulation is less than half the risk of fatal stroke in the general population. However, this, too, is a dubious claim. Are Myler's data accurate? His 0.00025% figure is from a paper by Dabbs and Lauretti (9). Their estimate is probably as good as any, since the basis for it was a reasonably comprehensive review of literature. As Chestnut (10) correctly observed, "Depending on which ‘expert’ a person references, the chance of vertebrobasilar artery (VBA) dissection after chiropractic adjustment ranges anywhere from 1 in 5000 to 1 in 5 million. How is such a range of expert opinion possible? The answer, quite bluntly, is due to the fact that none of these risk estimates are based on valid scientific information." Chestnut continues: "A review of the literature regarding the relationship between chiropractic and stroke provides very little useful information. The vast majority of the published literature is comprised of case studies, case series, or case-control studies, none of which are capable of providing valid information regarding causation or risk. These types of studies can, of course, provide useful information with regard to suggesting a direction of future research, but they should never be interpreted as a valid means of determining causality. The only valid conclusion that can be reached from review of the available literature is that due to methodological shortcomings, there are literally no scientifically valid data that establish chiropractic adjustment as either a cause of stroke or as being associated with and increased risk of stroke." Wenban (11) wrote, "There is no human experimental evidence that chiropractic adjustments, or neck manipulations, are causally related to VBA’s. The strength of the inferences that can be made from observational studies carried out to date are severely limited by design issues." A study by Cassidy et al (12) was described in the Canadian newspaper The Globe and Mail (13). The article, titled, "Chiropractors don’t raise stroke risk, study says" reported that "Researchers say patients are no more likely to suffer a stroke following a visit to a chiropractor than they would after stepping into their family doctor's office." We found no evidence of excess risk of VBA stroke associated chiropractic care compared to primary care...The true incidence of vertebrobasilar dissection is unknown, since many cases are probably asymptomatic, or the dissection produces mild symptoms. Confirming the diagnosis requires a high index of suspicion and good vascular imaging. The cases that are most likely to be diagnosed are those that result in stroke. Ischemic stroke occurs when a thrombus develops intraluminally and embolizes to more distal arteries, or less commonly, when the dissection extends distally into the intracranial vertebral artery, obliterating branching vessels. The best incidence estimate comes from Olmstead county, where vertebral artery dissection causing stroke affected 0.97 residents per 100,000 population between 1987 and 2003…Because the association between chiropractic visits and VBA stroke is not greater than the association between PCP visits and VBA stroke, there is no excess risk of VBA stroke from chiropractic care." Jaskoviak (14) reported that not a single case of vertebral artery stroke occurred in approximately five million cervical "manipulations" at The National College of Chiropractic Clinic from 1965 to 1980. Not one. Osteopathic authors Vick et al (15) reported that from 1923 to 1993, there were only 185 reports of injury out of "several hundred million treatments." All of the figures which I found concerning stroke following "manipulation" involve estimates, not hard data. Leboeuf-Yde et al (17) suggested that there may be an over-reporting of "spinal manipulative therapy" related injuries. The authors reported cases involving two fatal strokes, a heart attack, a bleeding basilar aneurysm, paresis of an arm and a leg, and cauda equina syndrome which occurred in individuals who were considering chiropractic care, yet because of chance, did not receive it. Had these events been temporally related to a chiropractic office visit, it is likely that they would have been inappropriately attributed to the chiropractic care. Furthermore, there are cases of strokes attributed to chiropractic care where the "operator" was not a chiropractor at all. Terrett observed that "manipulations" administered by a Kung Fu practitioner, GPs, osteopaths, physiotherapists, a wife, a blind masseur, and an Indian barber were incorrectly attributed to chiropractors. (18) As Terrett wrote, "The words chiropractic and chiropractor have been incorrectly used in numerous publications dealing with SMT injury by medical authors, respected medical journals and medical organizations. In many cases, this is not accidental; the authors had access to original reports that identified the practitioner involved as a non-chiropractor. The true incidence of such reporting cannot be determined. Such reporting adversely affects the reader's opinion of chiropractic and chiropractors." Alas, we're still not finished. Another error made in these reports is failure to differentiate "cervical manipulation" from specific chiropractic adjustment. They're simply not the same. The illusory concept of chiropractic "manipulation" and stroke should be considered in the context of the de facto standard for health care safety -- allopathic medicine. In an article in the Journal of the American Medical Association, Kilo and Larson (20) describe the real issues surrounding our current health care crisis. "On balance, the data remain imprecise, and the benefits that US health care currently deliver may not outweigh the aggregate health harm it imparts…it is time to address possibility of net health harm by elucidating more fully aggregate health benefits and harms of current health care." In a review of errors in medicine, Leape (21) reported that if the results of the papers reviewed were applied to the U.S. as a whole, "180,000 die each year partly as a result of iatrogenic injury, the equivalent of three jumbo-jet crashes every 2 days." Dabbs and Lauretti (9) note, "The best evidence indicates that cervical manipulation for neck pain is much safer than the use of NSAIDs, by as much as a factor of several hundred times. There is no evidence that indicates NSAID use is any more effective than cervical manipulation for neck pain." Informed consent has been defined as "Consent by a patient to a surgical or medical procedure or participation in a clinical study after achieving an understanding of the relevant medical facts and the risks involved." (24) Obtaining informed consent is acknowledged as an obligation of any health care provider. There is no scientific evidence establishing a causal relationship between stroke and chiropractic adjustments. 1. Any attempt to mandate a disclosure of such a putative relationship, in my opinion, is misleading and inappropriate. 2. While it is human nature to attempt to attribute a catastrophic health event to a specific cause, it must be remembered that the mere fact that one event follows another does not mean that one caused the other. If chiropractors are to be required to communicate to patients that a cervical adjustment may cause a stroke, then physicians, dentists, podiatrists. optometrists, beauticians, barbers and plumbers should be compelled to disclose to their clients that visiting them may be followed by a stroke, car accident, electrocution, a lightning strike, or asteroid impact. Chestnut (10) wrote, "Many papers published on this topic contain statements that ‘‘in rare cases,’’ chiropractic can cause a VBA (vertebral artery) dissection and then go on to provide risk estimates regarding chiropractic and stroke. What is so misleading is that none of these papers reference any valid data. This type of misinformation appears on informed consent forms and on chiropractic college patient information brochures. Are these statements now so engrained in our consciousness that they are believed to be true or are they just poorly judged political statements designed to represent our profession as willing to admit risk? The truth is that asking a patient to sign an informed consent form that contains false information is a dangerous concept for both the patient and the practitioner no matter how politically correct it may appear." Despite this, attorneys continue to file stroke-related lawsuits against chiropractors, and muckrakers masquerading as journalists stir the emotions of the populace. It is time to replace yellow journalism with scientific investigation. Chiropractors should respond swiftly and vigorously to these allegations. If you are in a jurisdiction where regulations require a stroke disclosure, you are encouraged to work with your professional association to change this. There is a reason why I am passionate about this issue. Twenty five years ago, while trying to fall asleep, I turned my head to one side. The right side of my body went numb, and the room was swirling. I remember the ambulance ride, and the sheer panic of not being able to feel or move my arms and legs. After arriving at the emergency room, I had a CT scan to check for a possible hemorrhage. Lying in the intensive care unit, a mechanical ventilator maintained respiration. People I hadn’t seen for years came to visit. The attending neurologist had told my family that I would probably not make it through the next few days, and that if they wanted to see me, they had better come immediately. I recall the amalgam of horror, anger, and helplessness, but most of all, a compulsion to answer the question, "Why did this happen?" Thankfully there is a happy ending. I was visited by two chiropractors who adjusted me. Shortly after the first adjustment, I could wiggle the fingers on my right hand. Soon I was off the ventilator, and able to use a wheelchair. With the unofficial consent of the attending physician, I continued to receive chiropractic adjustments, while undergoing an intensive regimen of rehabilitation. A little over a month after being carried in, I walked out on my own power with the aid of a cane. Since then, I have taught at a chiropractic college, qualified as an attorney, and co-founded a successful business. I’m again able to drive a car and pilot a light airplane. I don’t consider myself a victim. And despite some residual health issues, I’m no longer seeking someone or something to blame. Yes, I am a stroke patient, and there is absolutely no doubt in my mind that had the event occurred while I was on a chiropractic table rather than lying in bed, the stroke would have been improperly attributed to receiving chiropractic care. This article does not constitute legal advice, and no attorney-client relationship is established. An excellent example of "junk science" is the popular notion that chiropractic adjustments cause strokes. Although individual case reports of adverse events following "manipulation" have been reported in the medical literature for decades, recent exposes in the popular media seem to have led some gullible patients (and more than a few chiropractors) to accept this premise at face value. Careful examination will reveal that these individuals have fallen prey to a classic case of "junk science." 7. Keating JC Jr: "Toward a Philosophy of the Science of Chiropractic." Stockton Foundation for Chiropractic Research, 1992. Page 189. (Book. Not available online). 8. Myler L: Letter to the editor. J Manipulative Physiol Ther 1996;19:357. Not available online. 13. Globe and Mail. Chiropractors don’t raise stroke risk, study says. No longer online. 14. Jaskoviac P: Complications arising from manipulation of the cervical spine. J Manipulative Physiol Ther 1980;3:213. Not available online. 16. What about serious complications of cervical manipulation? The Back Letter 1996;11:115. Not available online. 25. Huber PW: Galileo's Revenge. Junk Science in the Courtroom. Basic Books. 1991. Page 3. © 2012. Christopher Kent. All rights reserved.